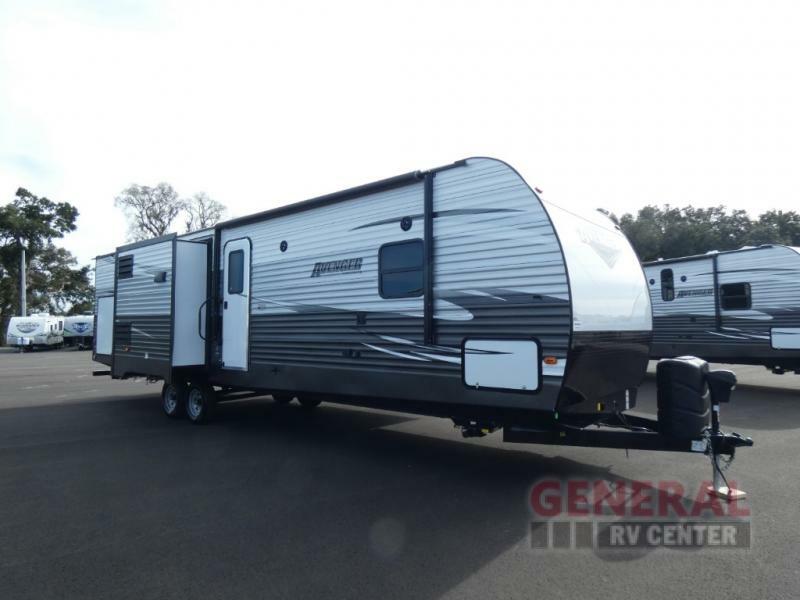 Forest River Wildwood travel trailer 31KQBTS highlights: Triple Slide Outs Bunkhouse Outside Kitchen Sleeps Ten 18' Awning With this triple slide out, rear bunkhouse travel trailer, everyone can have their own space! The bunkhouse features dual opposing slides, providing tons of space for the kids to play. 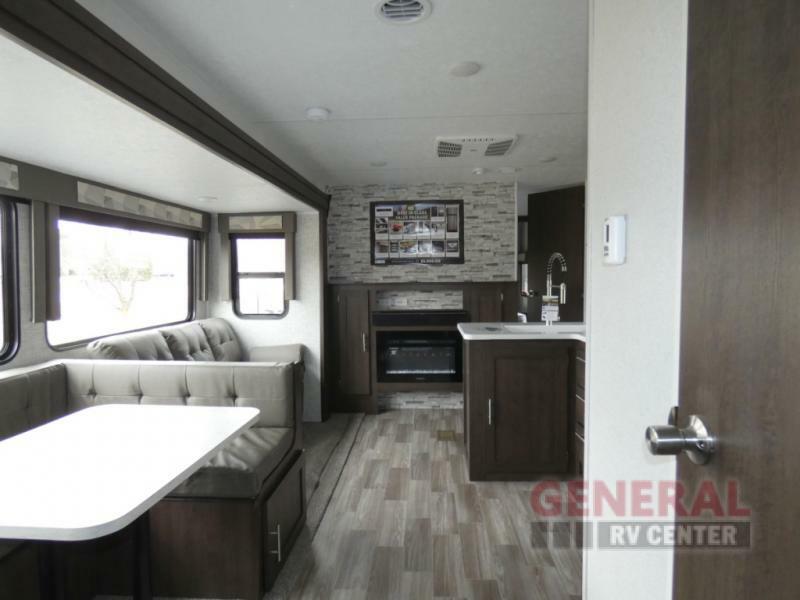 The large slide in the living area opens up the whole space, and here you'll find a U-shaped dinette and a sofa that is perfect for meal times and relaxing. 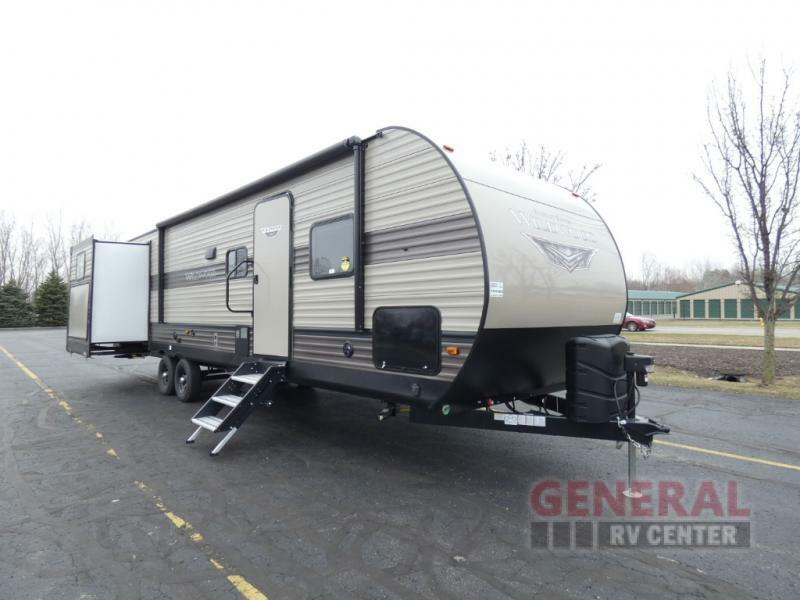 You'll love the front private bedroom with a queen bed, and everyone will appreciate the full bath. 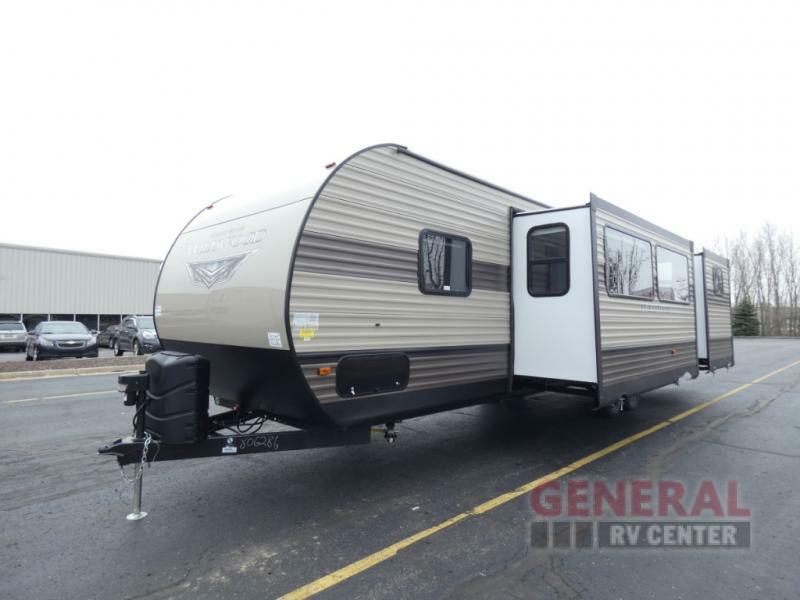 Mom can cook a meal on the three burner range, or you can prepare hamburgers on the outside kitchen dad is sure to love! 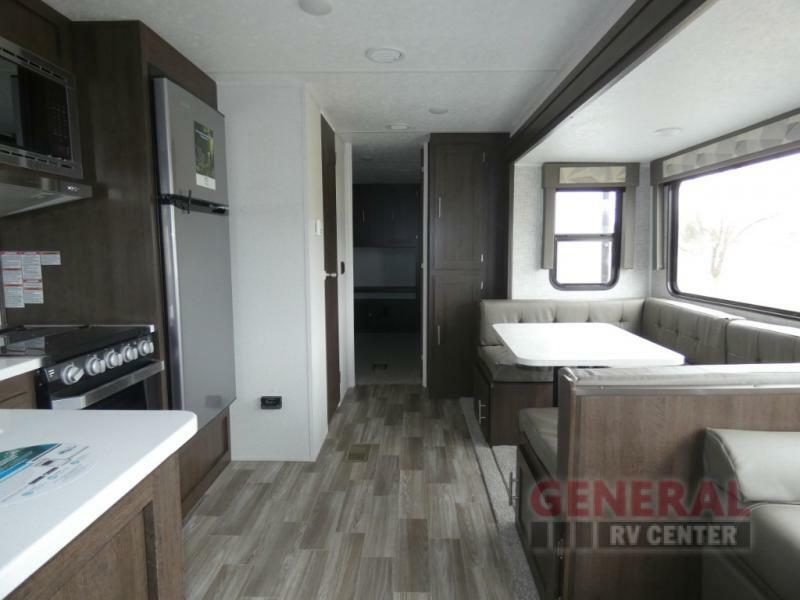 With any Wildwood travel trailer you will be pleased with new upgraded Shaw linoleum, convenient stow and go storage under the dinette, and USB ports in the bedrooms and bunks to keep you connected to the outside world. 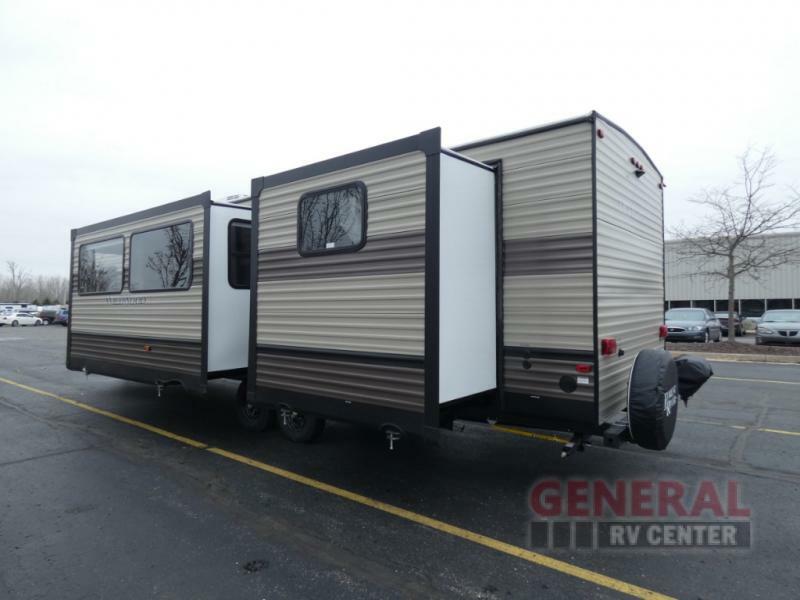 Each unit features a 10.7 cu.ft. 12V Everchill stainless steel refrigerator, new modern cabinet door hardware, and a stainless steel roll up sink cover. 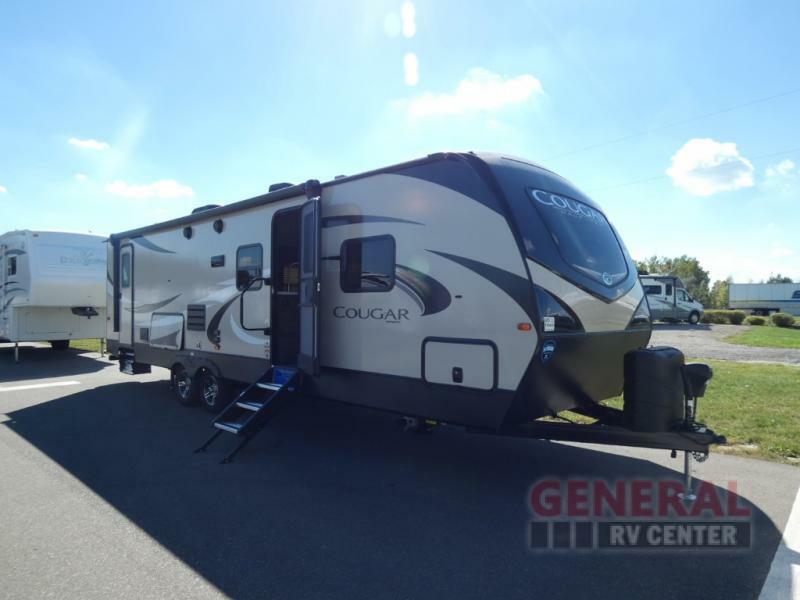 You'll appreciate the pass through storage for all your camping gear, an LED awning light for evenings outdoors, and each model comes with Furrion backup camera prep to make parking hassle free.